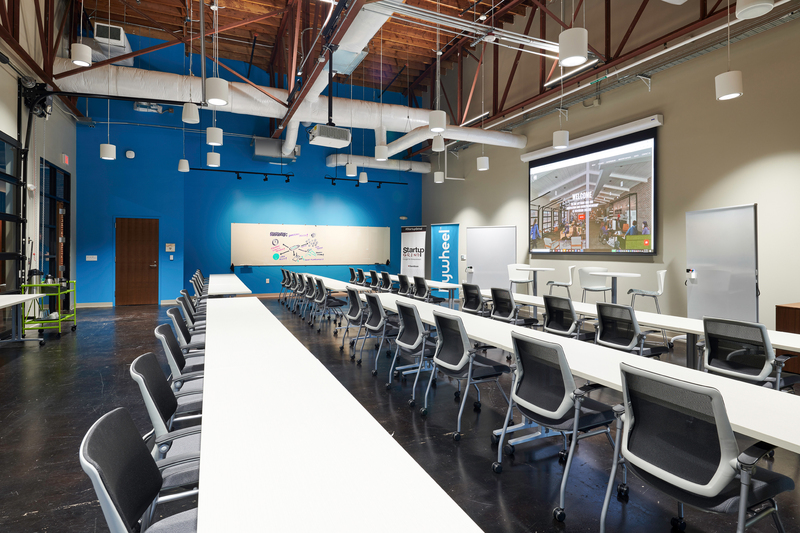 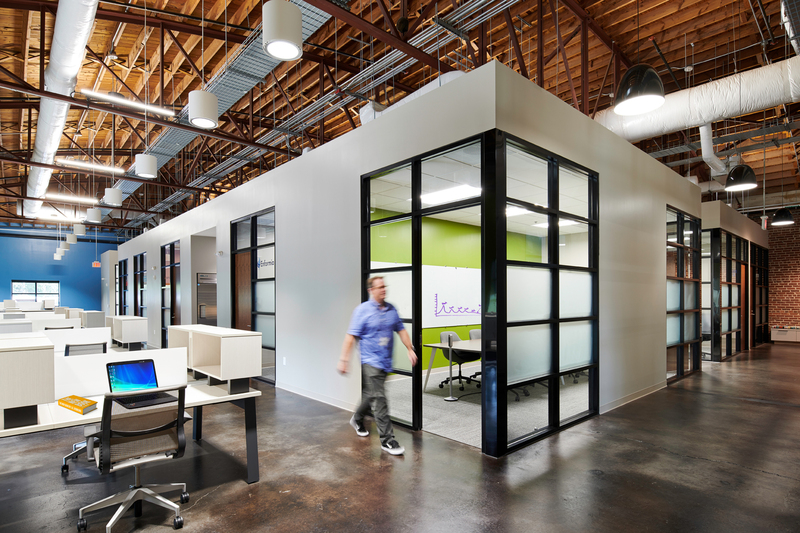 The Jay Hurt Hub for Entrepreneurship and Innovation is a cutting-edge, LEED-certified facility that aims to both connect with and help build a vibrant Lake Norman-area technology, innovation, and entrepreneurship community. 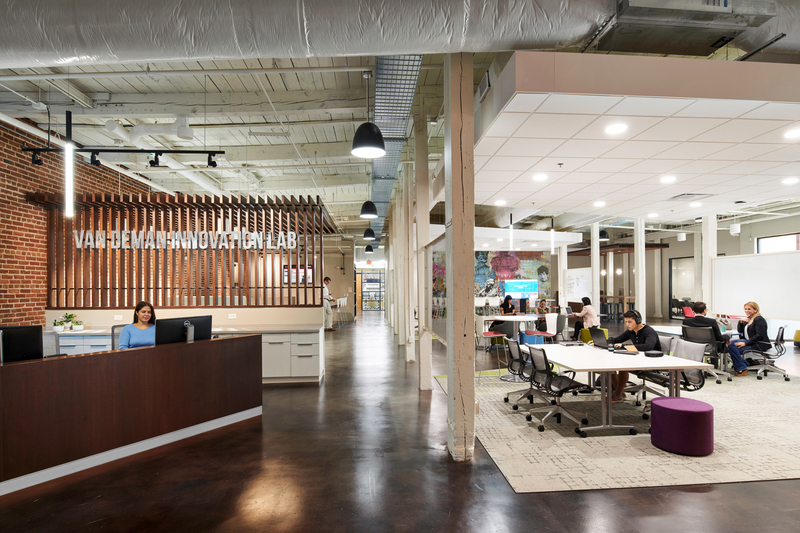 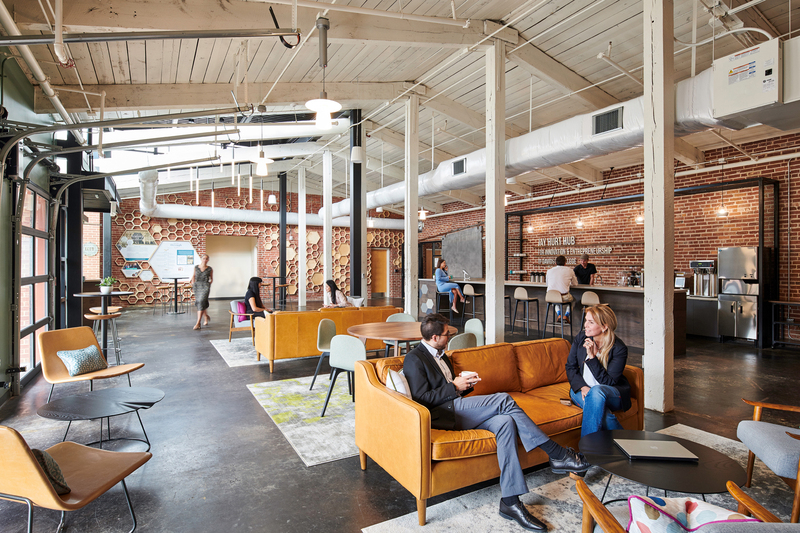 The facility is comprised of three distinct, but fluid areas of program: Social Commons, the Van Deman Innovation Lab, and a Coworking office run by Flywheel, an affiliated Workplace Strategies company. 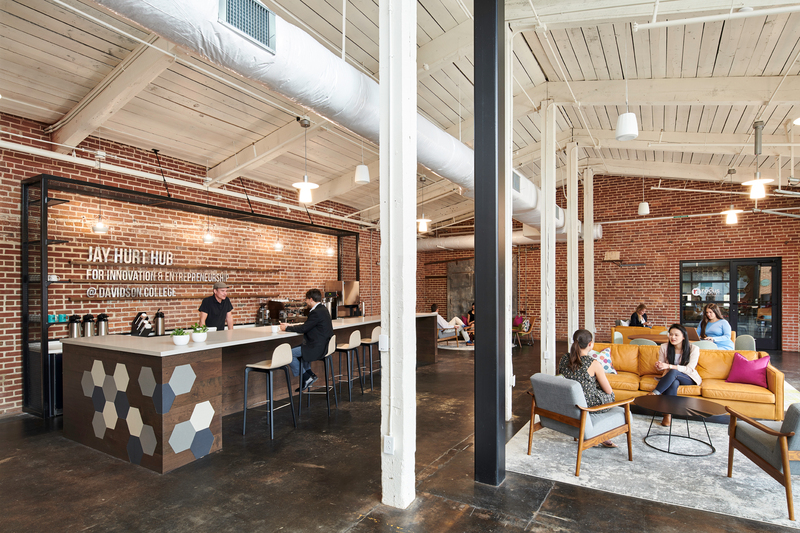 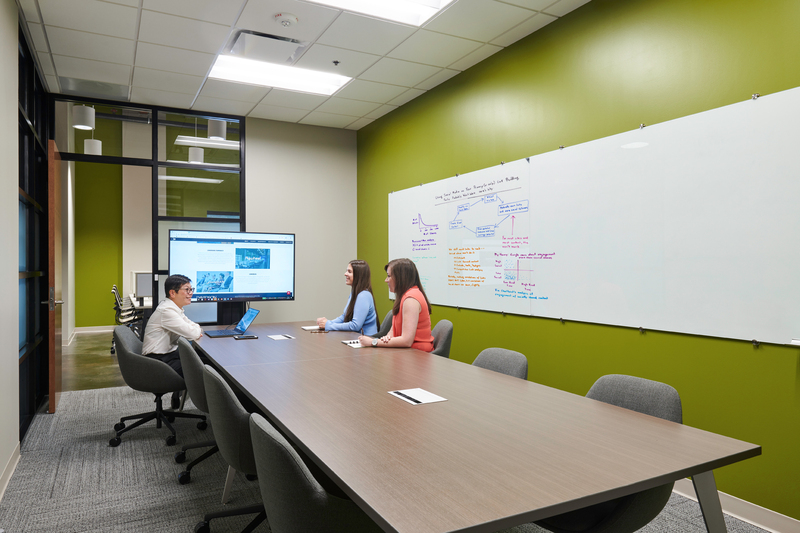 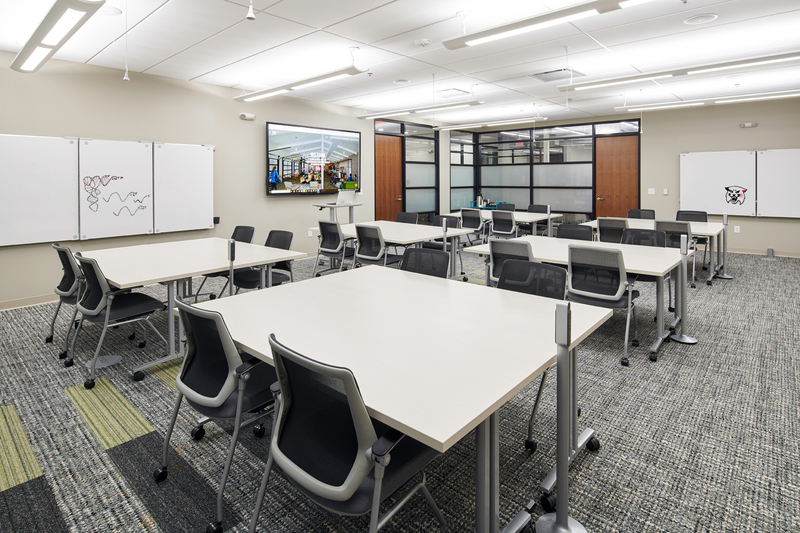 Workplace Strategies provided complete architectural and interior design services, along with strategic programming, expertise in designing flexible innovation and coworking space, and furniture/equipment specification and procurement services. 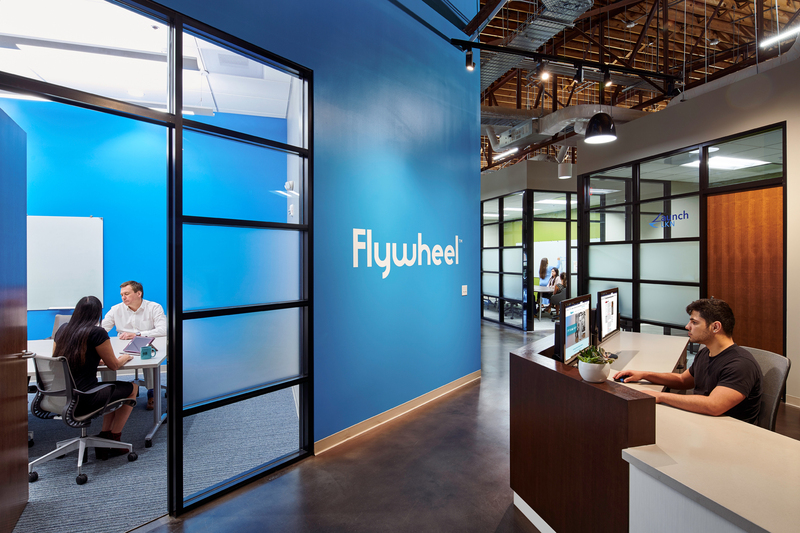 Flywheel will operate the coworking space, it’s second location as it begins to expand statewide.